Breakfast was quite nice and included. There were many local choices with great and willing staff. Very accommodating with many many choices. Garden view rooms are old including rest room facilities. Tee/coffee kettle is dirty so i suggest to bring your kettle as this problem I faced in many hotels. 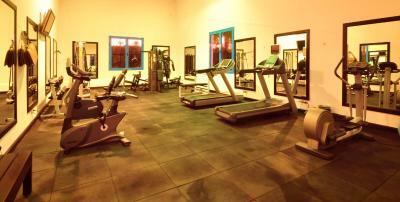 Location was very good and unique as it is in the heart of Naama Bay. I loved the beach, it was neat and wonderful.The breakfast buffet was delicious! !There were many restaurants and also shisha cafes and bar, didnt have the time to try them.The resort has children play area outdoor as well as indoor.Sadly the indoor one was closed at my stay there.The resort has 4 pools, we enjoyed a lot in the pool. The housekeeping staff was great and helpful. There is a patio/balacony with every room which was lovely!The resort is in Naama bay close to supermarkets, restaurants and money exchange. 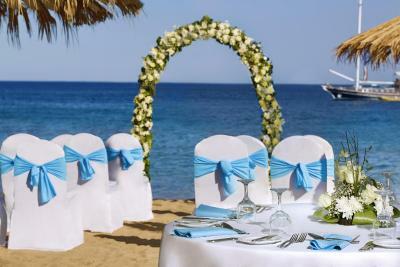 I checked in early, the reception staff were very nice and accomdating. They also let me have a late check-out without extra charge. 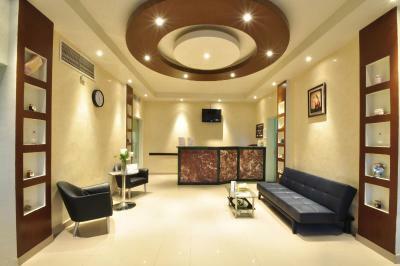 A shout out for Emad Wagih and the guest relation for the professional treatment. My room was spacious and comfortable. Bad front desk communication. I ordered a baby crip before arriving and and they said we did not receive the order!! And when I ordered one I t was delivered @11:30 pm !!! Good sized TV, good location, flexible check out. 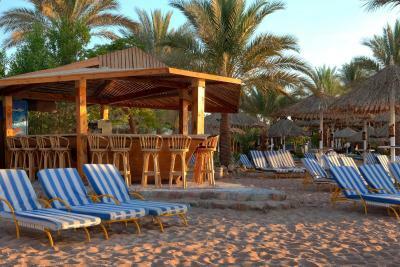 Fayrouz Resort Sharm El Sheikh This rating is a reflection of how the property compares to the industry standard when it comes to price, facilities and services available. It's based on a self-evaluation by the property. Use this rating to help choose your stay! 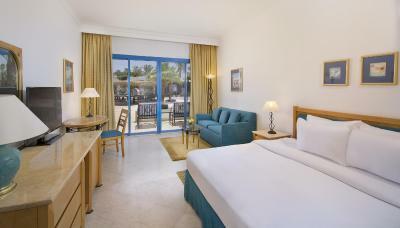 This luxurious resort overlooks the Red Sea in Naama Bay, 15 minutes' drive from Sharm El Sheikh International Airport. 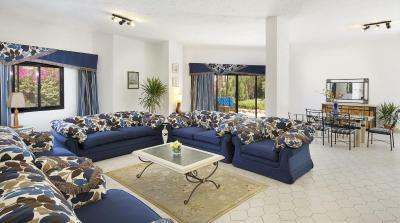 It features 4 outdoor pools and a long private beach. 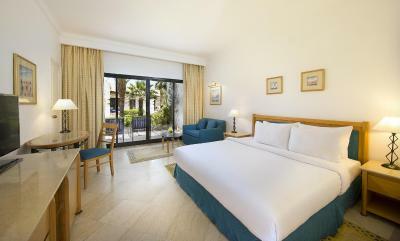 Each of the spacious rooms at Fayrouz Resort Sharm El Sheikh has high-speed internet access, a work desk and deluxe bathroom amenities. Some rooms look out over the resort's pool area. 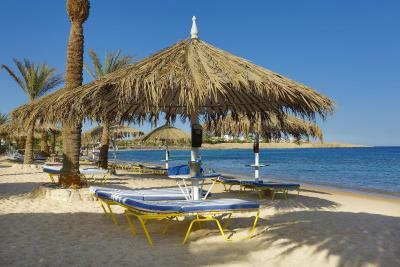 Water sports are available with Fayrouz Resort Sharm El Sheikh's diving and snorkeling center. 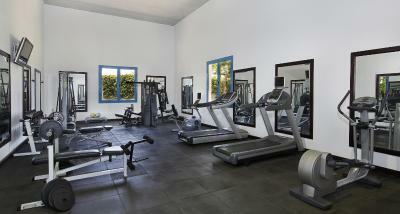 There are also tennis courts and a fully equipped fitness center. 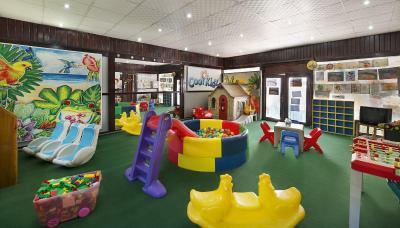 An active kids' club and children's pool areas completes the resort. 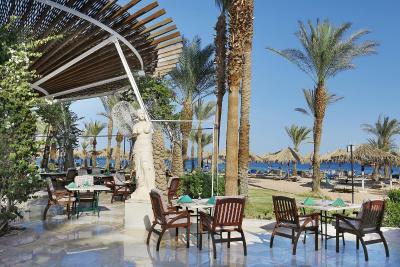 The Fayrouz Resort Sharm El Sheikh's Wadi Restaurant offers an outdoor terrace with views over the beachfront promenade. 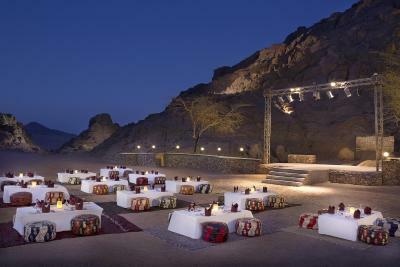 Starlight Dinner features an open-air buffet in a Bedouin setting. There are also seafood and Italian restaurants. 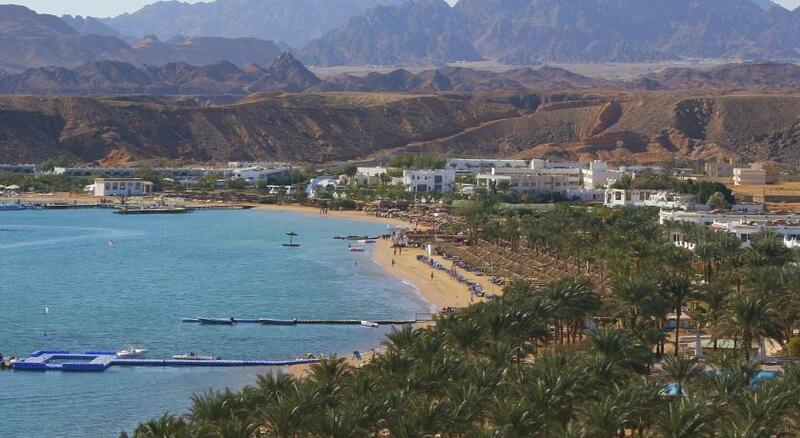 The center of Naama Bay is just 5 minutes' walk from Fayrouz Resort Sharm El Sheikh. 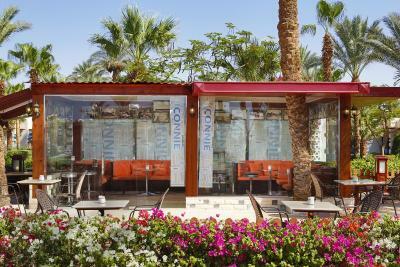 This is our guests' favorite part of Sharm El Sheikh, according to independent reviews. 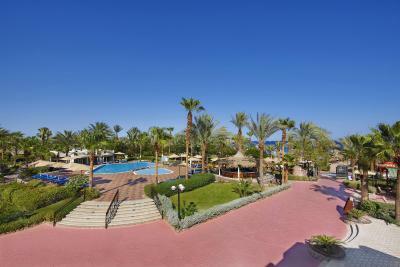 This property also has one of the top-rated locations in Sharm El Sheikh! Guests are happier about it compared to other properties in the area. 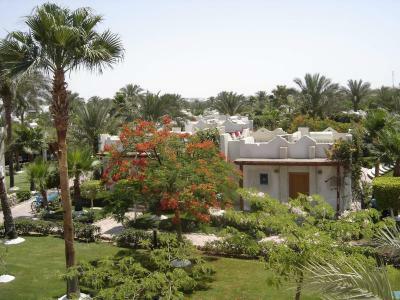 뀐 Located in the real heart of Sharm El Sheikh, this property has an excellent location score of 8.6! 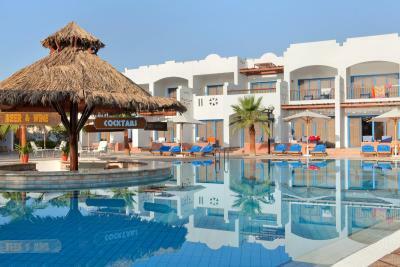 When would you like to stay at Fayrouz Resort Sharm El Sheikh? 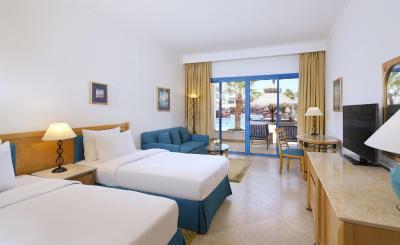 Plus Rooms offer more space and pool views. With garden views, a patio and a separate sitting area, this spacious room is decorated in cool, calm tones, and has sliding patio door windows. Some rooms have fluffy bathrobes, slippers or mineral water. Maximum occupancy is 2 adults and 1 child. This modern room is decorated in cool, calm tones and has a single bed and a queen bed. 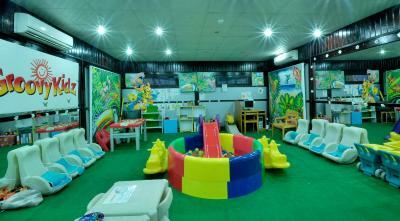 Cribs are available, and you can relax on the sunny terrace or stay entertained with the 21-inch TV. Maximum occupancy is 2 adults and 1 child. This room has partial sea views, a patio and a separate sitting area. It is decorated in cool tones, and has sliding patio door windows. Some rooms have bathrobes, slippers or mineral water. Sleeps 2 adults, 1 child. 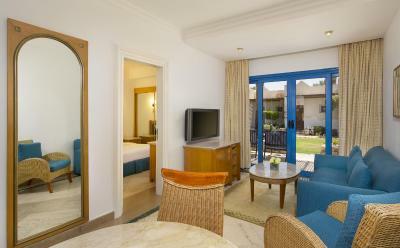 This spacious, air-conditioned suite has a sitting area with a flat-screen TV, minibar and a desk. 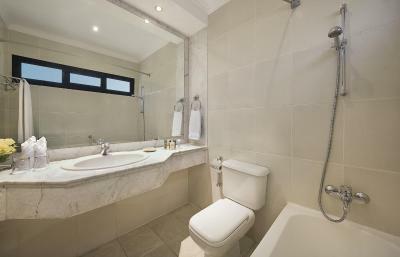 Each suite has a sofa bed and a private marble bathroom with free toiletries. 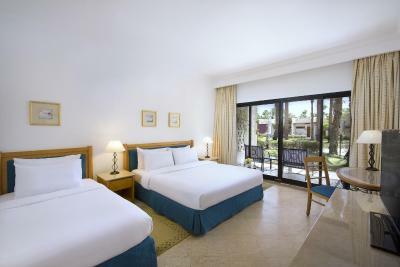 This twin/double room features a mini-bar, air conditioning and seating area. 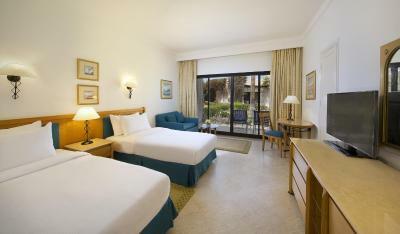 This twin/double room features a balcony, air conditioning and seating area. 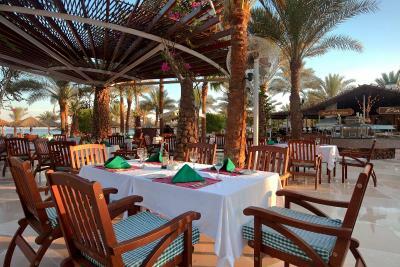 House Rules Fayrouz Resort Sharm El Sheikh takes special requests – add in the next step! 0 children under 6 years stay free of charge when using existing beds. 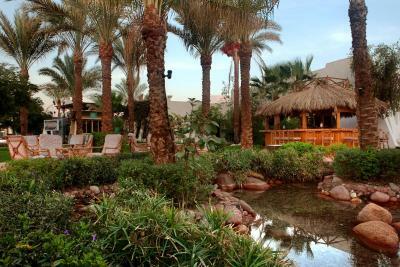 Fayrouz Resort Sharm El Sheikh accepts these cards and reserves the right to temporarily hold an amount prior to arrival. Please note that non Egyptian guests must make the payment in USD. Personal at reception are not professional and give erroneous information. Extra charge for hips while it was told it's free and towel card lost and paid 15$ for it.. expensive and feels that they using us. We were three people at the hotel but they kept giving us 2 towels and 2 of everything, we had to keep on asking every day which was annoying. The hotel was great. Really nice location besides the sea. The beach was great and very close. The food was great and the people were very helpful. 10 minute walk to the shops and cafes. 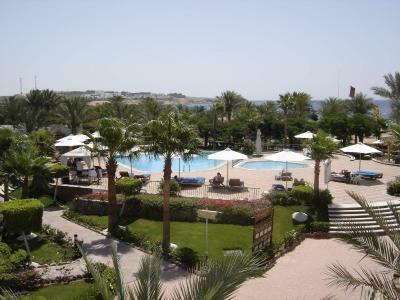 excellent hotel, very good location in naama bay, friendly staff & very nice beach. big & spacious room. i had a pleasant stay. The location was excellent. Friendly staff. Breakfast was nice. 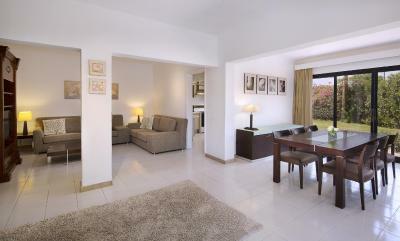 Very spacious and well-kept resort with bungalows in a huge and beautifull garden area. 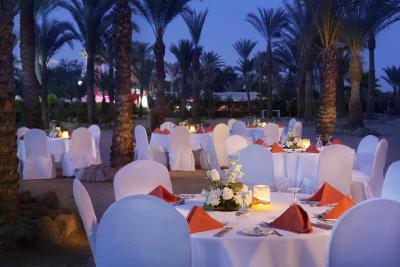 You will not find this type of hotel setting in Sharm except for the 5-star level places! Excellent value for money. 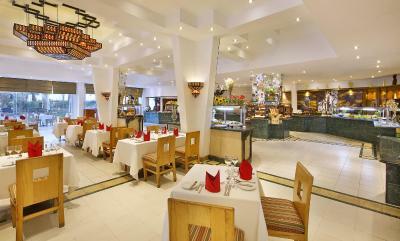 Delicious food, lunch and dinner buffets with large variety, same for breakfast (fantastic omelettes!!). 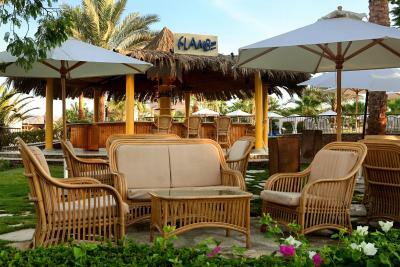 Very friendly, attentive and supportive staff in all areas of the resort, including cleaning and beach staff. Thanks again to everybody for making our stay so comfortable! 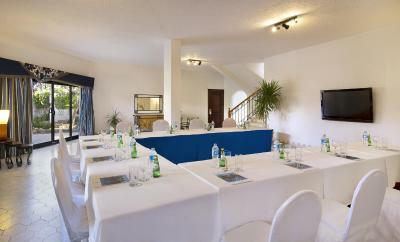 The staff are the main asset at the resort being friendly, attentive and meeting guests specific needs at any hour. 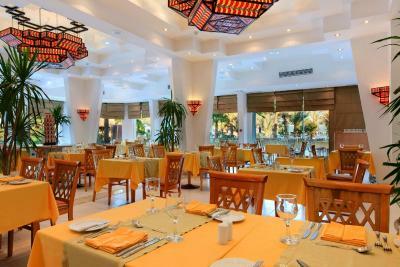 The breakfast buffet is excellent with many different choices and alternatives, one of the most expansive in Sharm. Again, great staff in the Wadi Restaurant. The 'cottage-style' rooms are close to the beach and very quiet, set in well tendered grass, palm and flower gardens with a lot of fauna around too!. 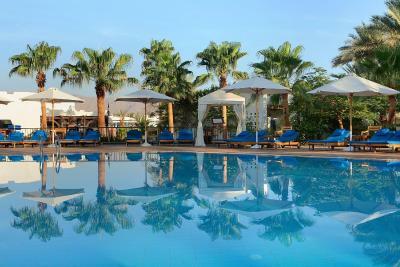 The swimming pool area is a nice spot to relax, very clean and well managed. The adjacent bar serves decent 'snacky' meals and really good Americanos and other coffees. 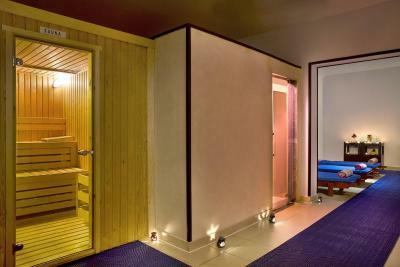 The Spa offers nice massage packages and is very good experience. The Pirates Bar, an old British hangout from more popular days is still a relaxing place to have a eat, drink and watch sports with the advantage of there being less 'scummy' tourists and local drunks. The carpet in the room was very dirty and I had to put them outside. The smell in the room was bad. I asked information how to go pedestrian street with shops and restaurant and the guy in the reception was very cold and gave the information very short: right and right. Well, we didn’t find and asked in the next hotel and they gave the information.. The hotel is very old and it is far to have 5 star. I like they gave a bag with breakfast because we leaved the hotel at 5:30am. 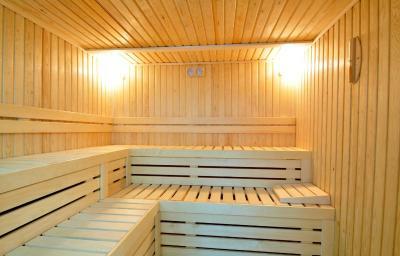 The rooms need a bit of maintenance, bit more lighting and fixtures needs to be replaced, especially in the shower. The pools and jacuzzi were cold. Great location and great breakfast. Staff was very fiendly especially at the Wadi restaurant during breakfast (Chefs are good) and Mohammed at the Pirates Bar. Carpets in room were never cleaned even after I told them. Service in restaurant was lacking. Friendly but very slow to get table setup and take coffee order etc. Staff outside room would yell to each other instead of walking closer to talk. Smoking and non-smoking rooms are next to each other, defeating the purpose.